CV Escrow | What is the Notice of Right to Cancel? When purchasing a home, the amount of paperwork can be overwhelming. There are documents for almost every possibility in the home buying process, including the “Notice of Right to Cancel” that pops up during the escrow process. But what is this document and what does it mean for a buyer? Here, we take a deeper dive. First off, it’s important for buyers to know that this document is completely commonplace. 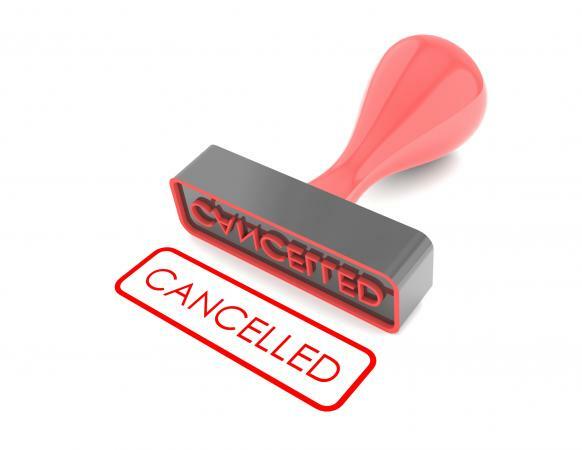 You may see it referred to as a “Rescission Document” or “Three-Day Notice of Cancellation” as well. No matter what it is called, this document is an important one that you must understand. The premise behind the document is actually pretty simple and straightforward: it is a document in the loan package that gives borrowers the right to cancel or rescind their location transaction within three business days after signing their loan documents. In some ways, it is a safety net, however, it doesn’t apply to all borrowers, so let’s take a closer look at when this can be implemented. Now that you have a better idea of who the “Notice of Right to Cancel” applies to, let’s discuss the timeline and important milestone dates. As mentioned above, sometimes you will see this document called the “Three-Day Notice of Cancellation,” which means it’s important to understand when this three-day period starts and ends. The period will start on the date of signing, and ends on the rescission date or final date to cancel, and these are usually established as the lender prepares the final loan documents. But sometimes these dates are left blank on the document if the exact signing date is unknown by the lender. In these instances, you may find instructions included with the document to determine the correct dates, or it may be printed on the “Notice of Right to Cancel” document itself. These instructions should also include information on how to correct the rescission date should the dates be incorrect. Please note that Saturdays are counted as part of this process because financial institutions are open for business. To better understand this process, let’s take a look at a few real-life examples of the “Notice of Right to Cancel” process. The “Notice of Right to Cancel” and the rescission process can seem overwhelming, but our expert team of escrow officers are here to help! If you need assistance understanding these documents or with anything during the escrow process, please feel free to reach out to us.